Darren Keiser designed this website to help you understand the knee, which is the largest joint in the human body. Learn about the knee from a Surgeon that keeps up-to-date with the newest advances in knee evaluation, diagnosis and treatment techniques. Darren Keiser wants to help you understand ACL Reconstruction of the knee. Learn about ACL Reconstruction from a Surgeon that keeps up-to-date with the newest advances in knee evaluation, diagnosis and treatment techniques. Darren Keiser wants to help you understand Meniscus Repair. Learn about Meniscus Repair from a Surgeon that keeps up-to-date with the newest advances in knee evaluation, diagnosis and treatment techniques. Darren Keiser created this website to help you understand the knee and knee replacement. Learn about the knee from Omaha Orthopedic Surgeon – Darren Keiser for knee diagnosi, surgery and treatment techniques. Welcome to OmahaKnee.com, your Source for Knee Information in Omaha, NE. 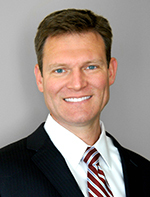 Darren Keiser is a board-certified orthopedic surgeon in Omaha, Nebraska. He specializes in the care and treatment of the knee. He loves to help people recover from their knee problems. Darren Keiser aims to educate you through this website is to regarding this commonly injured area of the body. In this website you will find explanations about knee anatomy, knee function, and dysfunction that will help you through the decision-making and treatment process. It will be to your benefit as you move toward recovery. Darren Keiser has performed several-thousand knee procedures in his career, ranging from knee arthroscopy to knee replacement. The goal as a knee doctor is to help you overcome all of your knee pain and to restore your knee mobility, function and strength (through the most advanced form of treatment) as quickly and painlessly as possible. Darren Keiser’s practice has been built by earning patient referrals and word of mouth recommendations. His aim is to maximize your long-term musculoskeletal health. You will have Darren’s full commitment to providing you with the highest quality orthopedic care possible. Darren has a patient care philosophy that was founded on integrity, attentiveness, and compassion. He is dedicated to providing you with the most current and advanced treatments for your orthopedic condition. Darren will work with you to provide an effective treatment plan where surgery may not be required. If surgery is required to help you overcome your orthopedic condition, he offers you innovative, state-of-the-art procedures, years of refined experience, and the expert technical skill you deserve. Whether your goal is back to sports, back to work, or back to an active lifestyle free of pain, Darren invites you to contact his office so he can assist you. His mission is to help you achieve a successful and happy outcome. Darren will do all that he can to meet your needs and exceed your expectations in a manner designed to improve and revitalize your life. If you are having any trouble with your knees, we invite you to allow Darren Keiser to assist you! Thank you for taking the time to visit and for allowing us to serve you!